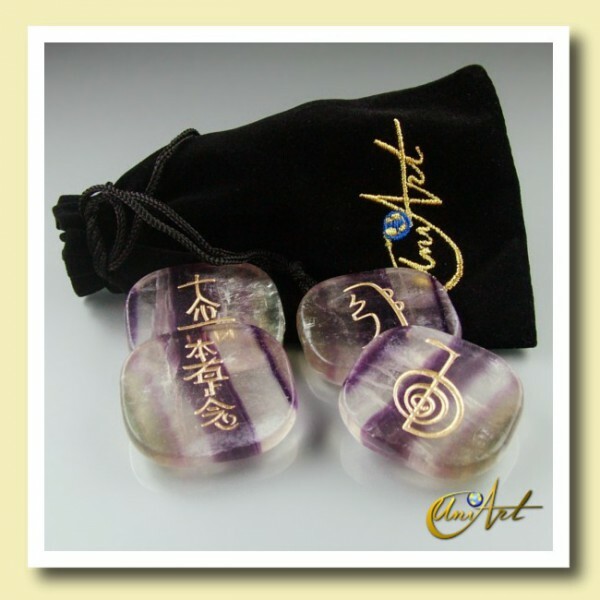 Set of 4 fluorite with principal Reiki symbols. 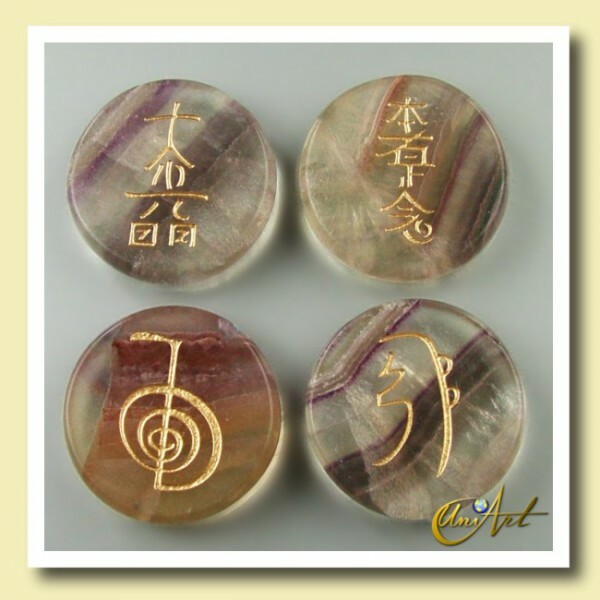 These fluorite flat, are engraved with the 4 Reiki symbols: Cho Ku Rei, Sei He Ki, Hon Sha Ze Sho Nen and Day Ko Myo. 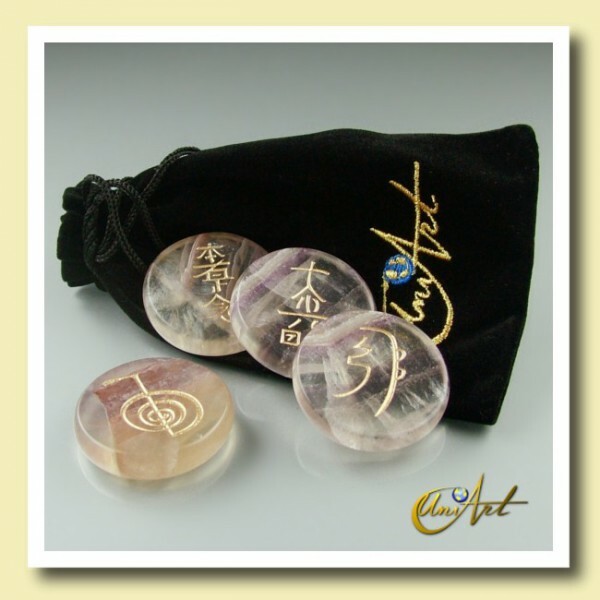 Reiki is a complementary alternative therapy recognized by the world health organization. 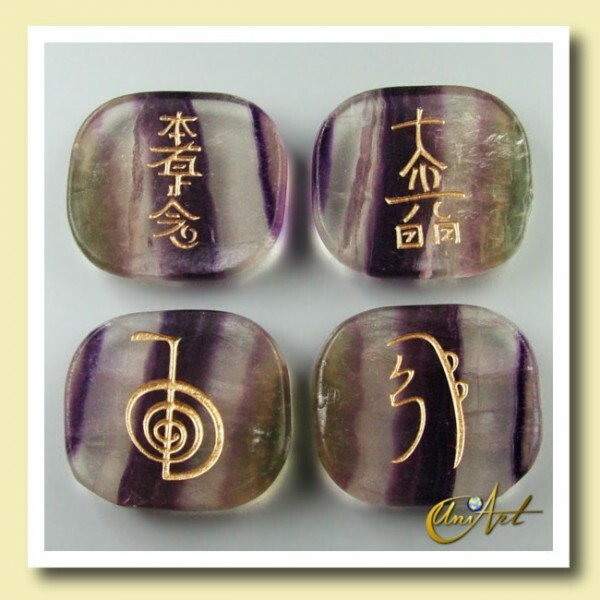 The Reiki symbols are used to transmit healing energy. 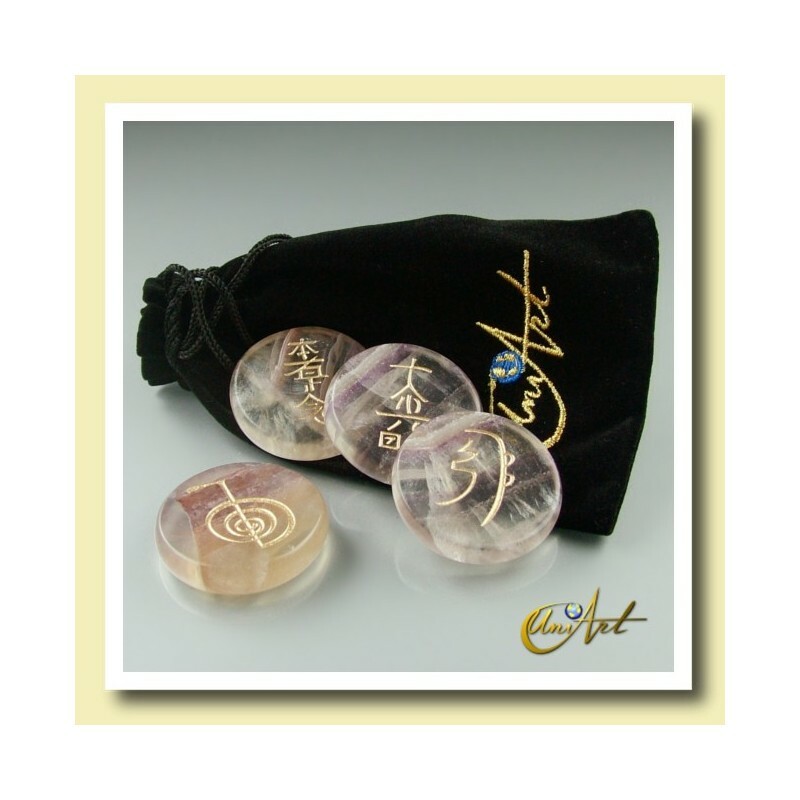 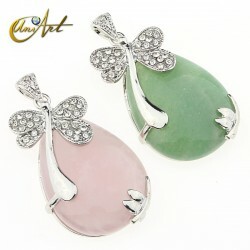 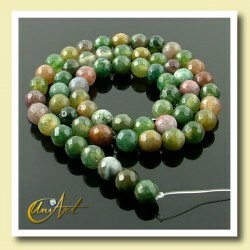 The stones, for their countless energetic properties, help in Reiki, potentiating and channeling the energy transmitted. Fluorite with rainbow streaks is very suitable for Reiki healing techniques because it is a stone stimulates intuition and psychic power, brings inner peace and balance the aurea. 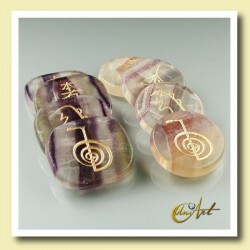 Fluorite benefits all Chakras mainly the seventh.